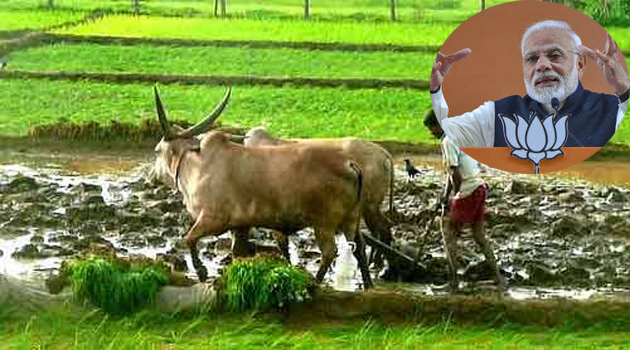 NDA Government is seriously considering the implementation of Direct Money Transfer Scheme, similar to Rythu Bandhu, all over the country to win the hearts of farmers ahead of 2019 Lok Sabha Polls. This is a measure intended to ease the financial burden on the farmers instead of offering subsidies. Finance Minister Arun Jaitley estimated the burden on the Centre will be anywhere around Rs 70,000 crore per year with the direct cash transfer scheme. Defeat in the three key Northern States (Madhya Pradesh, Rajasthan, Chhattisgarh) is an eye-opener for BJP. Negative result is forcing Narendra Modi to take some big measures to improve the poll prospects of BJP ahead of Lok Sabha Polls. Following the defeat, Tax on few Goods & Services were lifted. 10 percent Reservation was offered for the poor in the Upper Castes. And now, A key decision was taken in the best interest of the farmers. NDA Government predicted Budget Deficit of 3.3 percent of GDP for the 2018-19 financial year. However, The populist schemes of Centre might lead to the increase of Budget Deficit. KCR's Return Gift On February 14th?